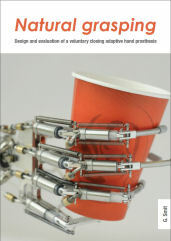 The Delft Institute of Prosthetics and Orthotics is part of the BioMechanical Engineering Department of the Faculty of Mechanical, Maritime, and Materials Engineering [Faculty 3mE] at the Delft University of Technology. Our goal is to develop and provide innovative prostheses and orthosis for the upper extremity. The research outcome is, apart from being published, taken through a thorough process of clinical evaluation, resulting in commercially available products under the WILMER brand name. DIPOPower team 1st in Powered Arm Prosthesis Race of Cybathlon 2016! 20130611 - Gerwin Smit successfully defended his PhD-thesis!